Managing multiple changing roles, groups, products and authorizations is an increasingly complex task at your enterprise organization. Using Neo4j, you seamlessly track all identity and access authorizations and inheritances with substantial depth and real-time results. This interconnected view of your data gives better real-time insights and controls than ever before. Neo4j connects your data along intuitive relationships so identity and access management happens quickly and effectively. Alessandro Amidani Svensson discusses how graphs are used to solve identity and access management (IAM) challenges. Discover how to leverage graph database technology for more robust, enterprise-level identity and access management (IAM) that operates in real time. Determine authorization by tracing from individuals through groups, roles and products. Easily manage dynamic group membership and inter-relationships. Track the origins and associations of any given asset. To verify an accurate identity, the system needs to traverse through a highly interconnected dataset that is continually growing in size and complexity. As users, products and permissions grow, traditional systems no longer deliver real-time query performance, resulting in extremely long wait times for your users. With the rapid growth in the size of assets and their associated metadata, your application needs to accommodate both current and future identity management requirements. Unlike relational databases, Neo4j stores interconnected user authorization data that is neither purely linear nor hierarchical. Neo4j’s native graph storing makes it easier to decipher your data by not forcing intermediate indexing at every turn. Neo4j’s versatile property graph model makes it easier for organizations to evolve their identity and access management models. Neo4j’s native graph processing engine supports high-performance graph queries on large master datasets to enable real-time decision making. The built-in, high-availability features of Neo4j ensure your identity and access data is always available to mission-critical applications. Dive into an example of an access control dataset demonstrating how graph databases reduce complexity, naturally storing complex and densely connected access control structures. Find out why Telenor chose Neo4j to solve their identity and access management problems. With a long history working with file server migration, the founding team behind migRaven was all too familiar with the challenges behind authorization and access control migration within network administration. 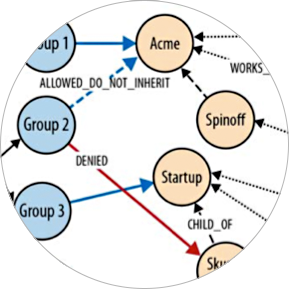 See how they used Neo4j to solve their problems. 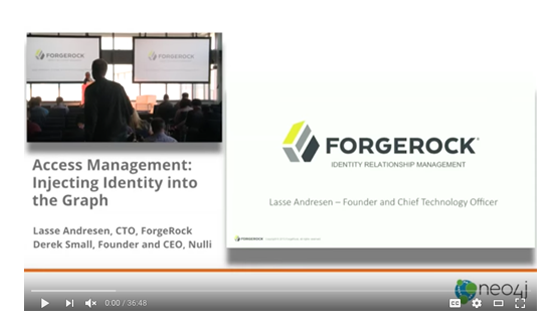 Lasse Andresen, the CTO of ForgeRock and Derek Small, the founder and CEO of Nulli present about access management at GraphConnect SF 2015. Your enterprise is driven by connections – now it's time for your database to do the same. 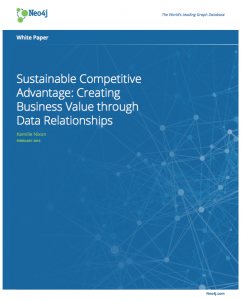 Click below to download and dive into Neo4j for yourself – or download the white paper to learn how today's leading enterprises are using Neo4j to achieve sustainable competitive advantage.